If you lock your iPhone's screen and for some reason forget or don't know the password, you will no doubt be prevented from accessing your iPhone properly to perform normal operations. In this case, what should you do if you need to factory reset locked iPhone without iTunes as you have never synced the device to iTunes before? Indeed, it sounds like a tough thing to do. But don't panic. Here are two helpful tips to rescue you from various restrictions. With the exception of iTunes, iCloud is a good option for iPhone users to factory reset/restore iPhone. On condition that you have turned on the "Find My iPhone" on iPhone settings, you can take the following steps to bypass the screen passcode easily. Step 3: Click on the "Erase iPhone" option in the bottom right corner to restore your locked iPhone to factory settings. 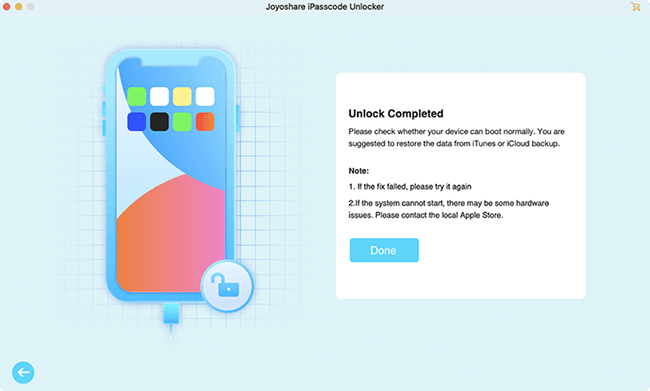 You can apply an iPhone passcode removal, like Joyoshare iPasscode Unlocker, to unlock your iPhone in a professional way. 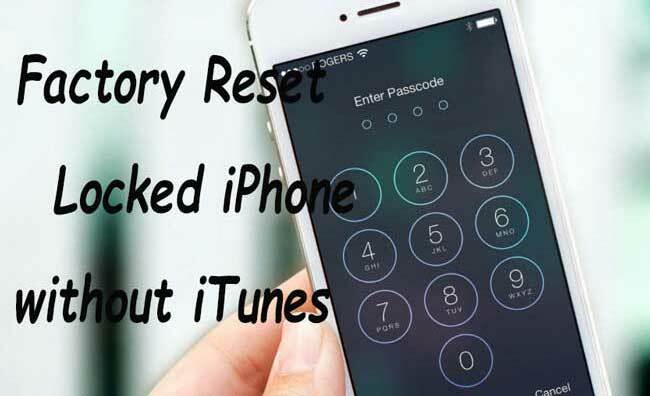 It has excellent ability to factory reset iPhone without iTunes, iCloud and passcode. 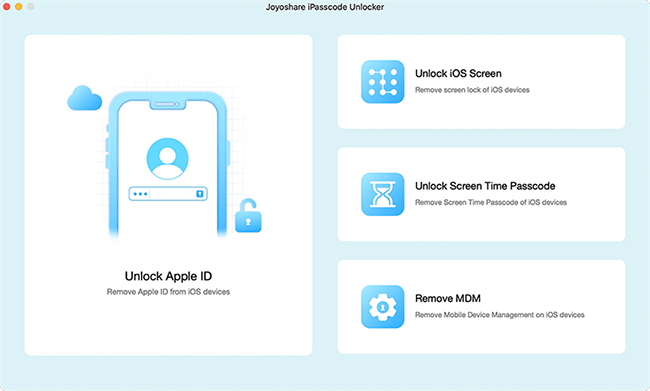 More than that, Joyoshare iPasscode Unlocker makes it easy to unlock 4 kinds of screen passcodes, including 4-digit/6 digit passcodes, Face ID and Touch ID. No matter how your iPhone gets locked, like multiple wrong passcodes attempts, second-hand iPhone with unknowing password, etc., this brilliant program can be a good assistant to remove the screen lock efficiently. 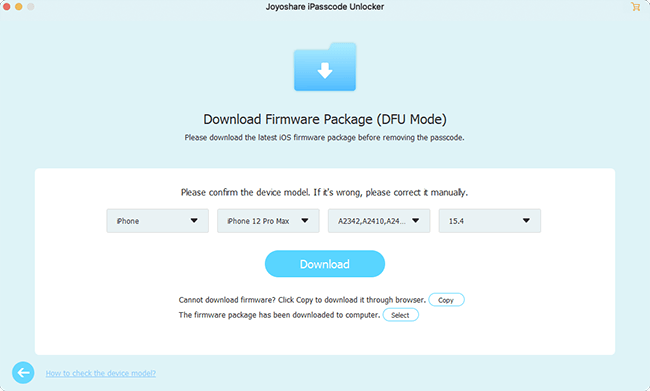 Before showing how to restore iPhone without iTunes when locked by using Joyoshare iPasscode Unlocker (Windows/Mac), you'd better be clear about that all your iPhone data will be erased as normal factory reset operation does. If it's acceptable, you can get started now. Download and install Joyoshare iPasscode Unlocker from the official website. Then launch the program and plug iPhone into your computer. Simply press the "Start" button to continue. 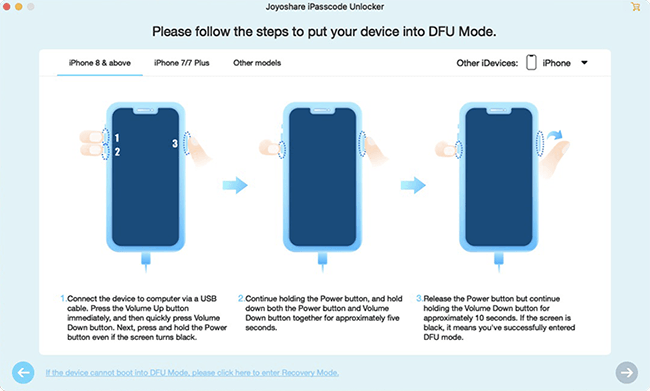 Put your iPhone into DFU Mode or Recovery Mode according to the onscreen instruction. Once the device is successfully set, the "Next" button will turn blue. Just click on it to go on. Have a careful check on the detected and displayed device info. Correct wrong point from the dropdown list. Next you can tap on the "Download" option at the right bottom to start to download and verify the firmware package. The program will begin to unzip the firmware and help to unlock your iPhone passcode when the downloading and verification are completed. To do it, you should click the "Unlock" button and keep iPhone connected during the whole process. After a while, your iPhone will come back to factory settings.